What would the soundtrack from 'Dusk 'Till Dawn' have sounded like had it been set in leafy Leicester and not amongst the vampire infested underbelly of Mexico? How about like this... A Hawk and A Hacksaw is former Milk Hotel/Bablicon mainstay Jeremy Barnes who, from his dusty sun baked shack in deepest Leicestershire, has produced this florid follow up to last years eponymous debut. Existing somewhere in the previously uncharted hinterland between Spaghetti Westerns and Asa-Chang and Junray, Barnes has produced a quite extraordinary fusion of just about every domestic, folk based scene that exists. Opening with 'Laughter in the Dark', A Hawk and A Hacksaw set about reconfiguring a traditional Transylvanian folk song into a lazily addictive horn led excursion down a harp/bagpipe and choral by-way producing something that is far less pretentious than that description might suggest. 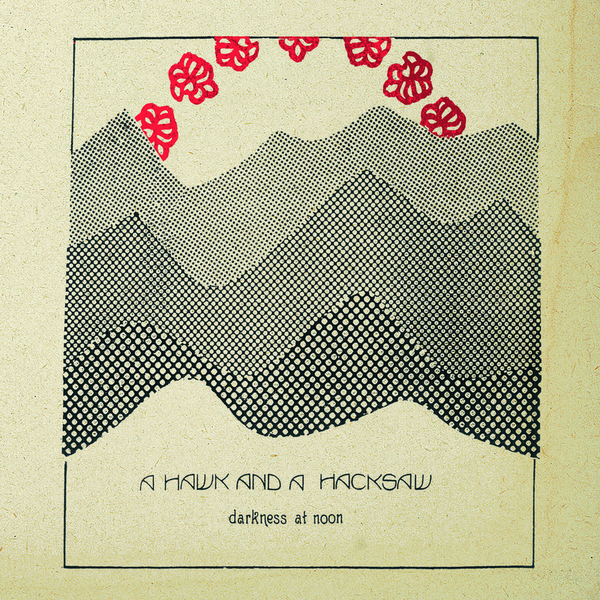 'Darkness at Noon' may start off grand, but it is just as comfortable getting intimate, with the accordion and piano led 'Europa' spinning a miasmic web of quite hypnotic instrumentation which continues on the simalarily restrained Tom Waits-esque 'Wicky Pocky'. Making sure you don't leave without a beat pulsing in your feet, final song 'Portland Town' is a cymbal smashing , raucous Eastern European knees-up that succeeds in making the accordion sound both vital and utterly infectious. What more could you want?